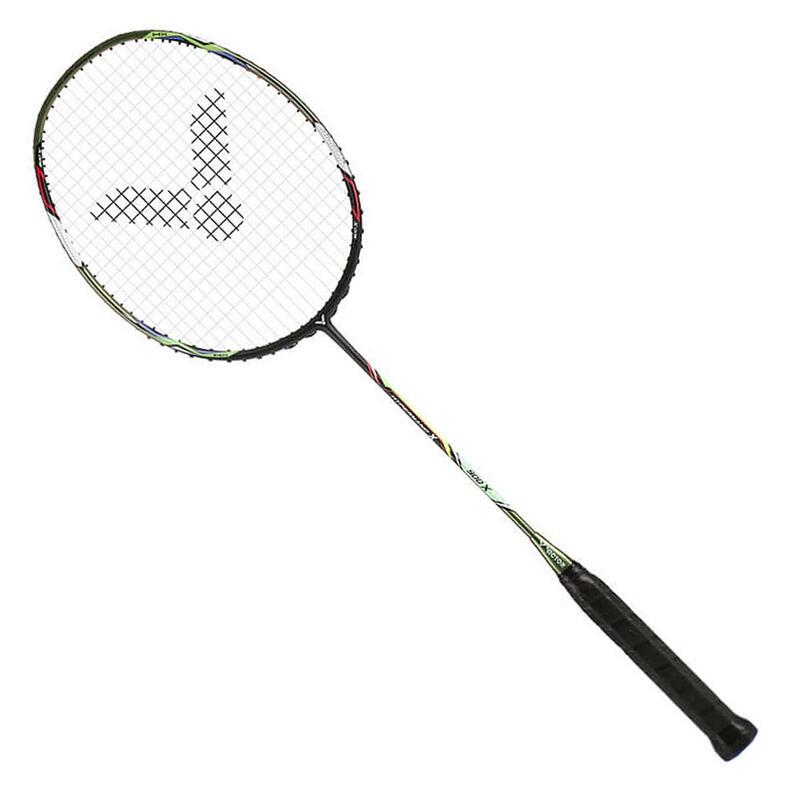 Victor Hypernano X 900X Badminton Racket is engineered with the highly antitorsion shaft first developed by Victor, and comes with a fully-covered frame, making each hit accurate, powerful, and swift - a truly competent sniper on the court. Inspired by archery, the concept is to achieve accurate targeting and hit the inner 10 ring to get an X.
Limb: Responsible for storing energy and providing great elasticity. 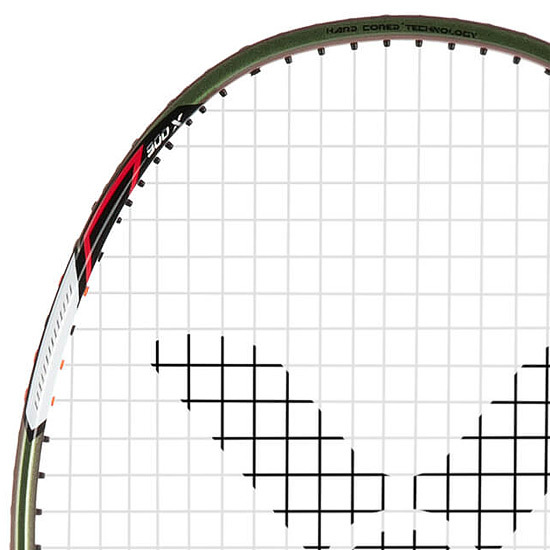 Works like racket frame to offer coverage, improve the controllability, and strengthen the counterforce, enabling more powerful hits. Riser: Responsible for stability and intensity. 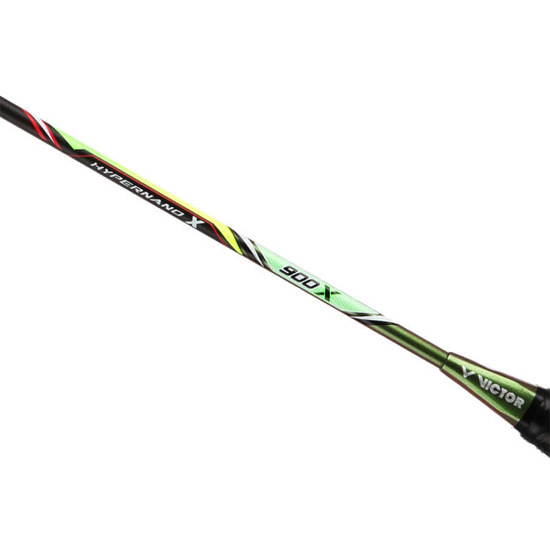 Works like shaft made with highly anti-torsion technology to make each smash more stable and accurate, with great power transmission. String: Responsible for the launch and transmission of power. 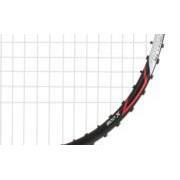 Works like optimized frame holes to achieve ideal power transmission performance. NanoFortify TR - Nano Fortify is a series on carbon tubes tightly linked together that allow increased bending and snap-back whilst keeping high strength. TR adds high-quality Torayca Prepreg Carbon to upgrade the elasticity of the shaft for improved power. 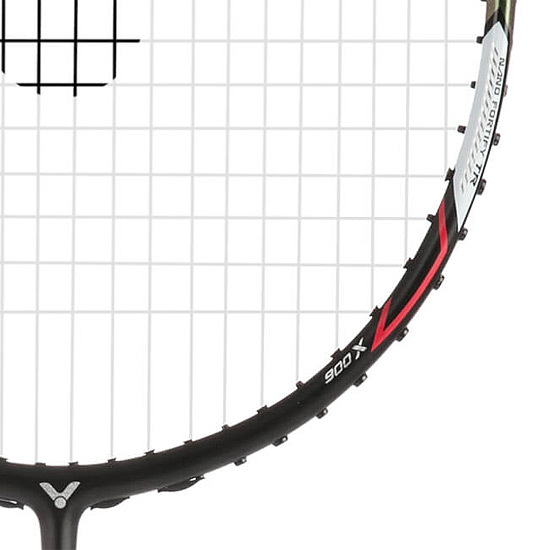 Hard Cored Technology – Layering construction of carbon fibre and composites reduces the frame size and improves feel and performance. 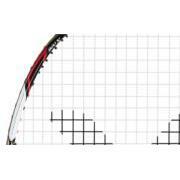 Aero-Diamond - A combination of aero sword and octablade frames for head stability and airspeed. 76 Hole Geometry means very few strings share a grommet. The result of this is a more responsive string bed with greater feel and control.